Love it or hate it – you have to admit this image brightens up an otherwise dull environment. So what is your take on graffiti? Do you have a favourite? Or do you think all graffiti should be removed? Maybe you could post a comment below and let us know your feelings. When it comes to graffiti, it really depends on how artistic it is. For example, I think the graffiti in the above photo is great, and I would define it as art. However, I am less impressed when some 16 year-old oik gets an aerosol can and sprays ‘I love shagging’ on a wall. One man’s art is another man’s rubbish, and for that reason alone it is better to ban graffiti. But then we would also have to bad Picasso, Rembrandt, Monet, etc, etc! You will never be able to ban graffiti, that will only put an edge to the doing of it, it will sort of give some derring-do to the painting, the sneaking around in the middle of the night with the utensils to do the work. I paint landscapes and I get a big buzz sitting at my art table nice and snug and watching a painting come to life. The graffiti artists get the same feeling in their work. What totally spoils the whole thing is, as Joe Stains says, the oiks or idiots that just have no talent at all and have to be smutty. True also what Geoffrey Stoner has said, some art you love some you hate. 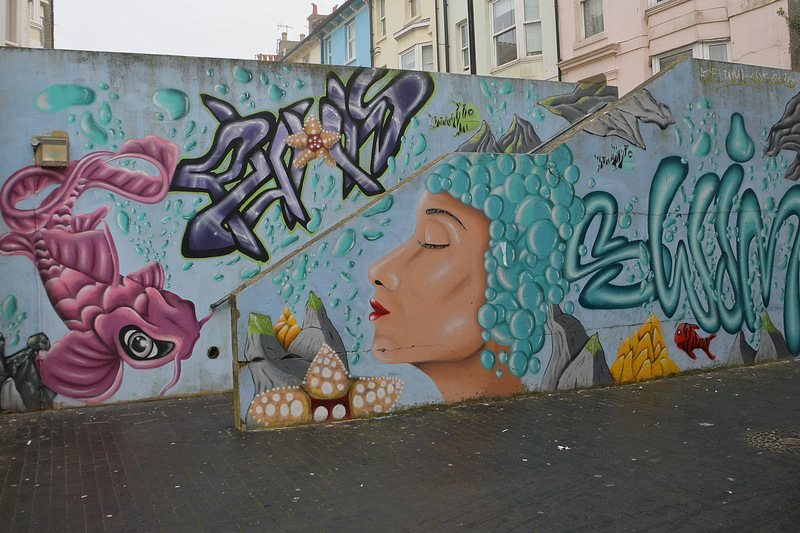 A lot of the graffiti art is really superb and the artists are very good at what they do. Wherever you go all around the world you see graffiti, on trains, bridges, barges and wherever there is a nice bare canvas that the painters are itching to get on and do their thing. Yes of course some graffiti is superb, but if you accept that it is legitimate on this score then you presumably consider it acceptable to have your pristine newly painted wall defaced.